Routine for the M.S. Ed examination 2017 under the National University of Bangladesh. The Authority of the National University and examination authority can change the notice by the announce any time. 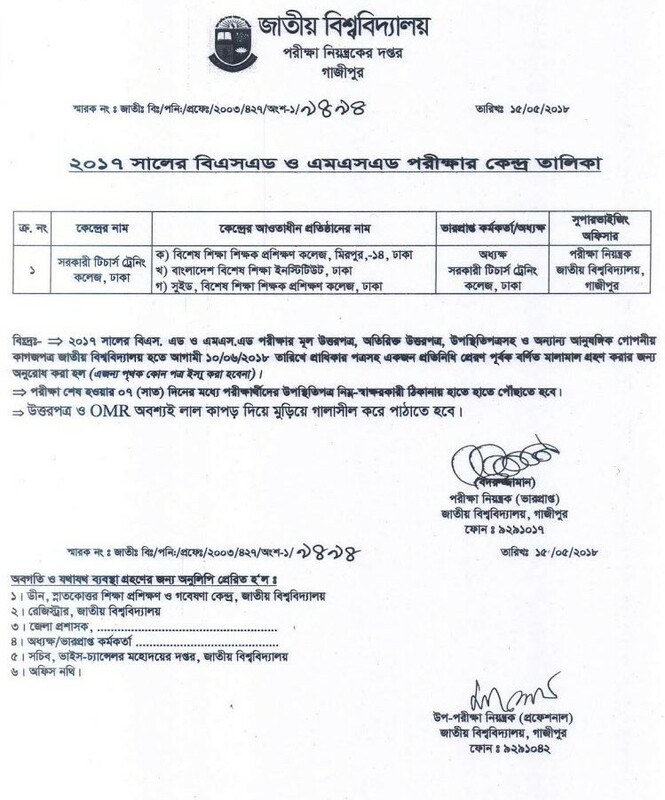 Examination stat on 23 June 2018.
and Examination starts at 10:00 am every exam. 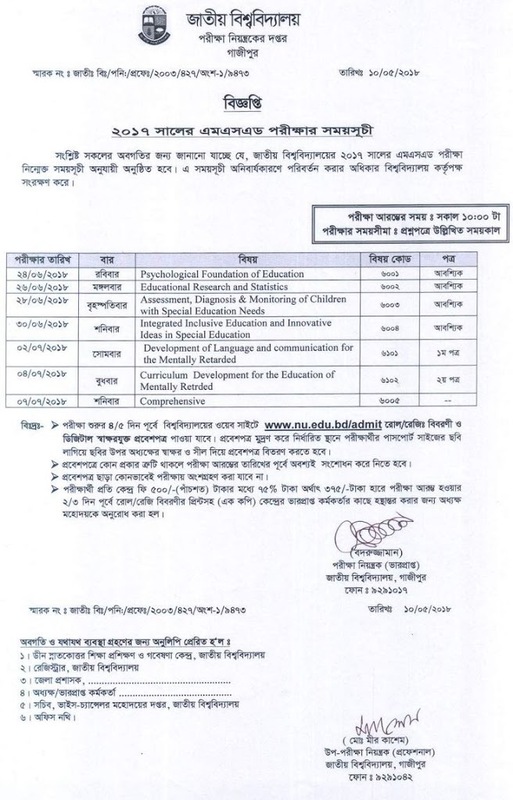 And more information about MS Ed and BS Ed examination on the National University of Bangladesh official website and below notice.